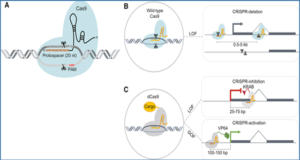 Noncoding RNAs (ncRNAs), such as microRNAs (miRNAs) and long noncoding RNAs (lncRNAs) are becoming fundamentally important in the pathophysiology relating to injury-induced vascular remodelling. 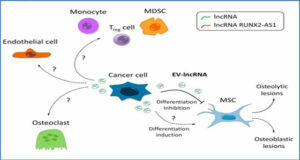 In this review, researchers from the Glasgow Cardiovascular Research Centre highlight recent studies that demonstrate the involvement of ncRNAs in vein graft disease, in in-stent restenosis and in pulmonary arterial hypertension, with a particular focus on endothelial cell and vascular smooth muscle cell function. 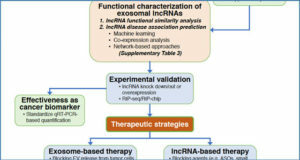 They also briefly discuss the emerging role of exosomal-derived ncRNAs and how this mechanism impacts on vascular function. ncRNAs have been described as novel regulators in the pathophysiology of vascular injury, inflammation, and vessel wall remodelling. In particular, several studies have demonstrated that manipulation of miRNAs can reduce the burden of pathological vascular remodelling. 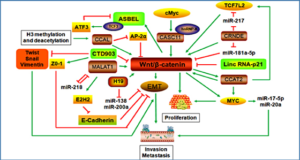 Such studies have also shown that exosomal miRNA-mediated, cell-to-cell communication between endothelial cells and vascular smooth muscle cells is critical in the disease process. In addition to miRNAs, lncRNAs are emerging as regulators of vascular function in health and disease. Although lncRNAs are complex in both their sheer numbers and mechanisms of action, identifying their contribution to vascular disease is essential. (a). 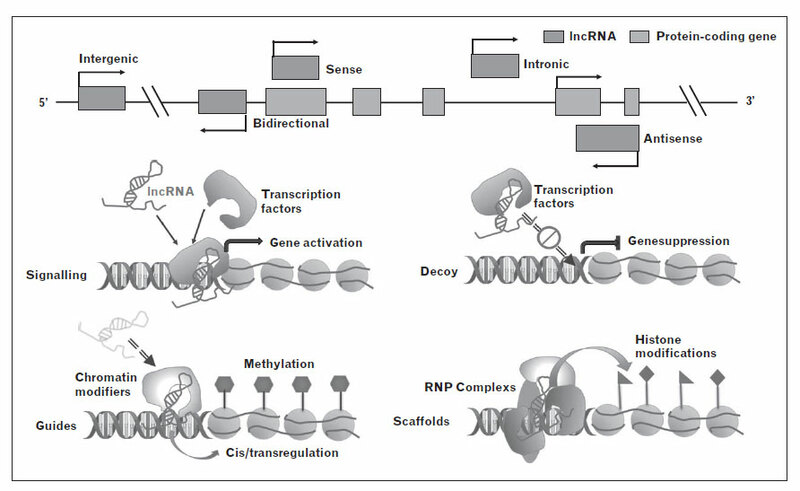 Based on their genome locations, lncRNAs can be classified into sense: transcribed from the sense strand of a protein-coding gene; antisense: transcribed from the antisense strand of a protein-coding gene; intronic: transcribed entirely from an intron of a protein-coding gene; intergenic: transcribed sequences is not located near any other protein-coding loci; bidirectional: transcribed sequences are located on the opposite strand from a protein-coding gene whose transcription is initiated less than 1000 base pairs away. (b). 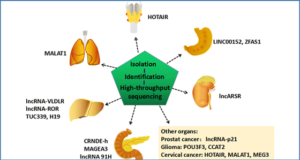 The main functions of lncRNA including signalling: lncRNA can function as molecular signal or indicator of transcriptional activity; decoy: lncRNAs can preclude the access of regulatory proteins to DNA; guides: lncRNA are be required for the localization of specific protein complexes either in ‘cis’ (on neighbouring genes) or in ‘trans’ (on distantly located genes); scaffolds: lncRNAs can serve as adaptors to bring two or more proteins into discrete complexes. 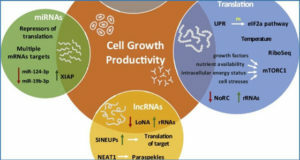 Given the important roles of ncRNAs in vascular injury and remodelling together will their capacity for cell-to-cell communication, manipulating ncRNA might provide novel therapeutic interventions.